Social workers work with people at all stages of life, tackling a multitude of personal, social, health, welfare, legal and educational issues. As a result, all social work students need to understand human growth and development throughout the lifespan. 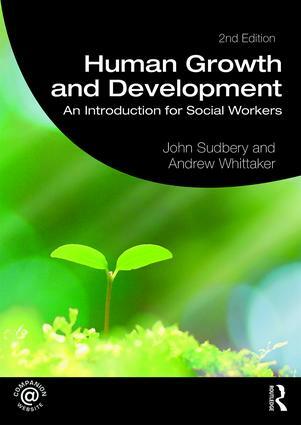 This fully revised and expanded second edition of this introductory text for social workers provides a knowledge base about human development from conception to death. It is designed to encourage understanding of a wide range of experiences: from the developmental trajectories of children in care, to adult mental distress and the experiences of people with dementia, to bereavement. Using engaging narratives to illustrate each topic, the authors clearly introduce and analyse different theoretical approaches, and link them to real-life situations faced by social workers. Packed with case studies, this student-friendly book includes overviews, summaries, questions and further reading in each chapter, as well as a ‘Taking it further’ section providing greater depth on key theoretical issues. A reference section contains a glossary and overviews of the principal theories discussed throughout the book. It is an essential read for all social work students.